Dreaming with fae creatures...: Small walk on hot Sunday..
Small walk on hot Sunday..
For the whole last week I was everyday melting and melting and melting. It was incredibly hot here. Our freezer is alwyas full of them but it's always nice to go and buy so fancy tastes every now and then to! Because of the weather and high possibility of chocolate stains I decide to wear something very, very casual. It was soo hot that even with all my makeup my cheeks look soo red on the first picture hi hi. Your "very casual" would be quite an outfit back here in Poland, I think! 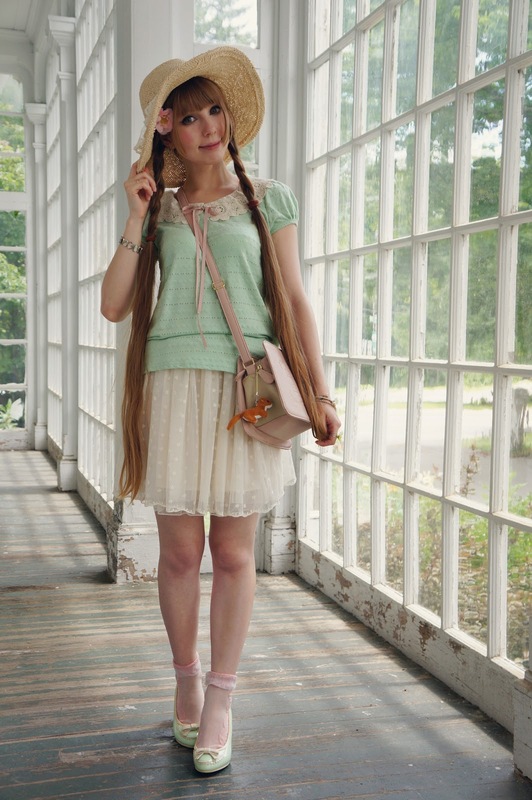 It's absolutely lovely, I adore your cute, feminine style more and more with each styling. 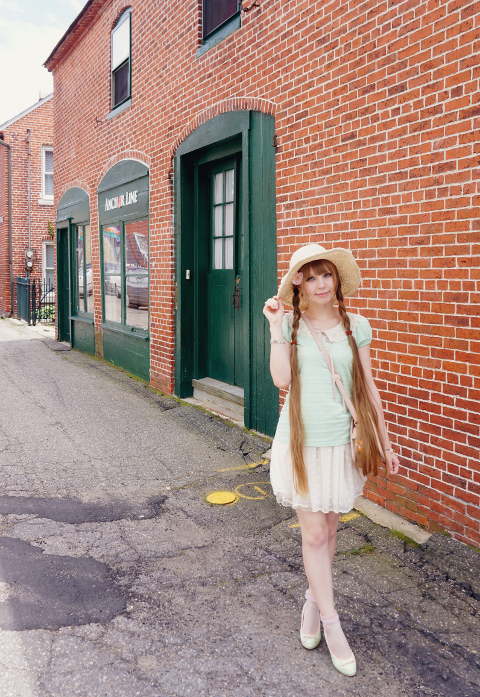 I love that casual but cute look♥ your town looks so nice o_o I wonder where you live?